Hello Linux Geeksters. As you may know, APT (Advanced Package Tool) has been updated yet again, reaching version 1.0.5. While APT 1.0 brought the following new features: apt list, apt search, apt show, apt update, apt install, apt remove, apt full-upgrade, app edit-sources, APT 1.0.5 also brings some changes. Among others, the autopkg test has been repaired, some fixes for the test-apt-ftparchive-cachedb-lp1274466 and apt-internal-solver have been implemented, a mission comma in SEE ALSO of apt-secure manpage has been added, the pkg from an unknown architecture is now longer sent via EDSP and the broken packages messages are now shown in the “apt” solver anymore. For more information, see the official announcement. In this article I will show you how to install APT 1.0.5 on Ubuntu, Linux Mint, Pinguy OS, Elementary OS, LXLE and other Ubuntu derivative systems. 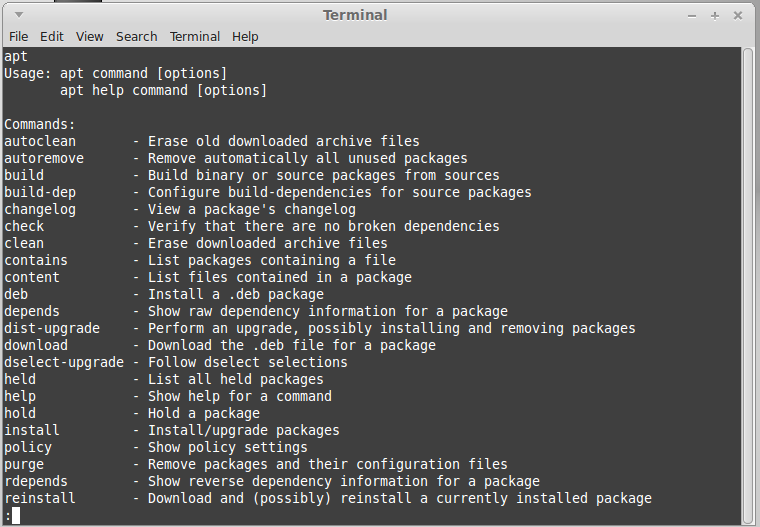 Because it is not available via any repository or ppa, we have to add a third party ppa to satisfy the dependencies, download the apt deb package from the debian ftp and install it via command-line. I prefer gdebi over dpkg, due to the fact that it also handles dependencies.